with a friend to take a ship departing earlier. Lillian M. Minahan was one of the lucky ones. When the majestic ship Titanic smashed into an iceberg about 11:40 p.m. on April 14, 1912, Minihan, who always described herself as being born in Fort Wayne, was among the mostly women and children ushered into lifeboats when the ship started sinking. But her husband, Dr. William E. Minahan, was among the more than 1,500 killed when the icy waters of the Atlantic Ocean swallowed the Titanic about 2:20 a.m. April 15. People around the world will pause and remember the tragedy this weekend, the 100th anniversary of one of the most famous maritime disasters in history — and one that has intrigued people for generations. Described as unsinkable, the grand vessel was on its first voyage, leaving Southhampton, England, on April 10, 1912, for New York. The first-class passenger list included the rich and famous, but the large number of people in second- and third-class accommodations meant Death struck families of all economic classes across the United States and Europe. Minahan's story is one of a few local connections to the Titanic. She reportedly was born Feb. 7, 1875, in Fort Wayne, according to a brief passenger profile on the website Encyclopedia Titanica. Birth records for that time period aren't available, but later biographical information and her obituary all state her birthplace as Fort Wayne. The last name of her parents, Sylvenus and Mahala, was listed as Tharp in both the Illinois County marriage records for 1810-1934 and on the 1880 Census records for Edgar County, Ill., which is on the Illinois-Indiana line northwest of Terre Haute. The 1880 census shows they have a daughter, Lilly M., age 5, who was born in Indiana. Future biographical mentions of Lillian, however, list her maiden name as Thorpe rather than Tharp. And based on the census records, it appears her family didn't stay long in Fort Wayne after her birth. In young adulthood, Lillian moved to Kansas and married portrait painter Paul Lawrence, who apparently died not long after their marriage, according to the website Titanic Research. In 1903, while visiting friends in Wisconsin, she met Dr. William E. Minahan, a prominent physician in Fond du Lac, Wis., it says in the copy of her obituary on the Encyclopedia Titanica website. They married later that year, with a newspaper item saying the wedding was at the bride's home in Kansas City, and a William Minahan profile in the 1912 book “Fond du Lac County, Wisconsin, past and present” stating the wedding took place in Arkansas City, Kan., which is south of Wichita. William and Lillian Minahan and William's sister, Daisy Minahan, had been visiting relatives in Ireland before boarding the Titanic for their trip home, Titanic Research reports. They booked first-class passage, staying in Cabin C78, Encyclopedia Titanica reports. Lillian had ticket No. 19928. When the Titanic struck the iceberg, William Minahan helped his wife and sister into Lifeboat 14, Titanic Research reports. He told them, “Be brave,” and joined other men staying on the ship so women and children could flee in the lifeboats. Lillian, then age 37, and Daisy, 33, were among the 700 survivors, most of whom were picked up by the Carpathia, one of the first ships to reach the site, Titanic Research says. The ship Mackay-Bennett was dispatched to help pick up bodies, and it brought back William Minahan — one of 337 bodies recovered, Titanic Research says. Daisy Minahan, who had health problems before the Titanic disaster, reportedly declined quickly after the disaster. She moved to California and died April 30, 1919, in Los Angeles, slightly more than seven years after the sinking, Titanic Research states. Lillian also moved to California and went on to remarry two more times, Titanic Research reports. She settled finally in Laguna Beach, Calif., in 1947 and lived there until her death at age 86 on Jan. 13, 1962. 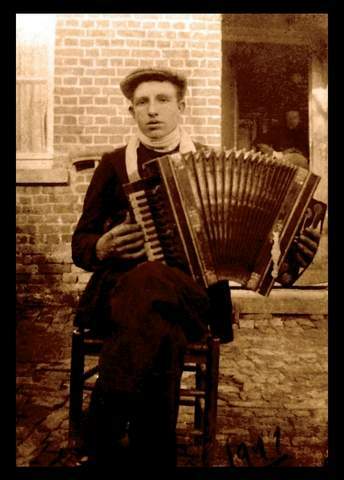 Antoine Augustus Temmerman, the grandfather of Gail Morris of Shriner Lake, was one of 12 friends who planned to leave Belgium in 1912 for jobs in the United States. Temmerman and five friends bought tickets on the Titanic, and six bought tickets on the ship Caronia, Morris said in a summary of family history related to the Titanic sinking. The Titanic's departure was delayed, however. Temmerman was anxious to get here, so he traded his Titanic ticket to friend Jean Scheerlink for the latter's ticket on the Caronia. Temmerman departed March 30, 1912, from Liverpool, England, and arrived April 7 in New York, Morris said. When the Titanic began sinking, Scheerlink and two friends escaped by hiding under the seats and behind skirts of women in Lifeboat 11, Morris said. One of Scheerlink's friends didn't make it into a lifeboat, however, and drowned. Temmerman and met his surviving friends in Detroit, where they found work laying brick sidewalk, Morris said. Her grandfather then worked at Ford Motor Co., which eventually sent him to Defiance, Ohio. He also enlisted in the U.S. Army and fought with the Allied forces to free Belgium during World War I.
Morris' father moved their family to the Leo-Cedarville area in 1962, she said. Morris and her Aunt Rose plan to be in Belgium to take part in a memorial event for Belgians who died in the Titanic sinking. — W.J. Haas, chief clerk in the freight department of the Pennsylvania Railroad division in Fort Wayne in 1912, reported knowing Capt. Edward J. Smith, the captain of the Titanic. Haas told the Fort Wayne Sentinel he had been a seaman before coming to Fort Wayne 24 years earlier, and “was acquainted” with Smith, who then was captain of a different ship. — Newlyweds Mr. and Mrs. John P. Snyder of Minneapolis were on the Titanic, returning from their honeymoon abroad. Mrs. Snyder, the former Nell Stevenson of Nobleville, was the niece of Mrs. Charles Spalding of Fort Wayne, a newspaper report said. Stevenson spent time visiting her aunt here the previous summer and was “well-known” in Fort Wayne social circles. The couple was in one of the first lifeboats to leave the Titanic, and they survived.